Being charged with Misdemeanor Possession of Marijuana and/or Misdemeanor Drug Paraphernalia in North Carolina is more common than you may think. In fact, according to an article published by the Charlotte Observer in February 2016, the Charlotte Mecklenburg Police Department (CMPD) arrested or gave citations to 3,700 people for possessing less than ½ ounce of marijuana since 2014. This number does not include those people who were charged for possessing greater than a ½ ounce of marijuana or those people who were charged with possessing less than ½ ounce of marijuana along with an additional crime. As you may have experienced if you were charged with a misdemeanor marijuana drug crime, most often these arrests and citations come after being stopped by the police for an alleged motor vehicle violation, such as speeding or having an expired registration tag. If this is your case, it’s likely that once the police officer approached your vehicle, they informed you that they smelled the odor of marijuana. The odor of marijuana can often give the police the probable cause they need to search your vehicle, and possibly your person. As a result, the search is performed, the marijuana and/or drug paraphernalia is found, and you are arrested or cited with possession of marijuana and/or drug paraphernalia. So what is next? Let’s begin by looking at the specifics of the various misdemeanor marijuana drug crimes you may be charged with. Knowledge: Essentially, knowingly means that you were aware of the activity that you were engaged in; here, possessing marijuana. Here is an example. If you knowingly agree to hold a friend’s bag, but unknown to you the bag contains marijuana, you likely have not knowingly possessed marijuana. Controlled Substance: Since N.C.G.S. 90-94 classifies marijuana as a Schedule VI Controlled Substance, it is unlawful to knowingly possess marijuana. Now that you understand the important terms associated with Misdemeanor Possession of Marijuana, let’s look at the different types of misdemeanor drug charges you may be charged with. There are two misdemeanor marijuana charges in Charlotte, and throughout North Carolina. The amount of marijuana you are alleged to have possessed will determine the type of crime you are charged with. Class 3 Misdemeanor Possession of Marijuana: If you are alleged to have knowingly possessed less than ½ ounce of marijuana, you will be charged with Class 3 Misdemeanor Possession of Marijuana. Class 1 Misdemeanor Possession of Marijuana: If you are alleged to have knowingly possessed between ½ ounce and 1 ½ ounce of marijuana, you will be charged with Class 1 Misdemeanor Possession of Marijuana. 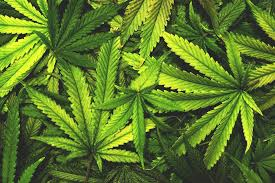 Class I Felony Possession of Marijuana: It becomes a felony if you are alleged to have knowingly possessed anything greater than 1 ½ ounces of marijuana. The next question you probably have likely regards the potential punishment you may face if you are convicted of Misdemeanor Possession of Marijuana in North Carolina. The chart below summarizes the potential punishment you may face if you are convicted of the different misdemeanor drug crimes in Charlotte, NC. Besides Misdemeanor Possession of Marijuana, in North Carolina you may also be charged with Misdemeanor Possession of Marijuana Paraphernalia and Misdemeanor Possession of Drug Paraphernalia. Let’s take a look at the slight difference between the two. As you can see, what distinguishes Possession of Marijuana Paraphernalia from Possession of Drug Paraphernalia is the controlled substance the paraphernalia is being used for; “marijuana” versus “a controlled substance that is unlawful to possess.” Thus, if a weighing scale was found near marijuana, the appropriate paraphernalia related charge would likely be Possession of Marijuana Paraphernalia. However, if a weighing scale was found next to cocaine, the proper paraphernalia related charge would probably be Possession of Drug Paraphernalia. Additionally, the potential punishment you face if convicted of Possession of Marijuana Paraphernalia in North Carolina differs than the punishment you would face if you were convicted of Possession of Drug Paraphernalia. The chart below details these differences. If you or a loved one is facing a Misdemeanor Possession of Marijuana and/or Misdemeanor Drug Paraphernalia charge in North Carolina, you may have options other than just pleading guilty. Some, but not all, of those options are listed below. Approved Drug Education Program: In Mecklenburg County, North Carolina, you may be eligible to take a drug education program approved by the Mecklenburg County District Attorney’s Office for a voluntary dismissal of your charge. We can talk to the appropriate people to determine if you are eligible for such as program. 90-96 Discharge: Even if you do not qualify to take an approved drug education program for a voluntary dismissal, you may be eligible to have your charge judicially discharged through N.C.G.S. 90-96. Trial: Do not automatically assume you are guilty of a misdemeanor drug offense. Did the police officer have a lawful reason to stop you? Were you or your vehicle searched illegally? These, as well as many others, could be reasons your charge should be dismissed. Expungements: Whether your misdemeanor drug offense is ultimately dismissed or not, there may be options to ensure you keep a clean criminal history. Not doing so may have lifelong educational and employment repercussions. While we have tried to explain many of the inner workings of the crimes Possession of Marijuana, Possession of Marijuana Paraphernalia, and Possession of Drug Paraphernalia, the truth is that this article has only just began to touch the surface of these North Carolina crimes. Criminal law is complex, and has many moving parts. However, we are here to help. We can guide you through the process and speak to the right people to ensure that you receive that most favorable outcome possible for your misdemeanor drug crime. If you or a loved one needs assistance, call the attorneys at Browning & Long, PLLC at (980) 207-3355 today for your free consultation.